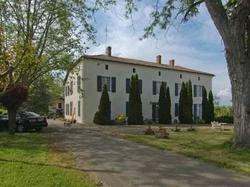 Domaine De Testelin is a manor house located in the countryside. It offers free Wi-Fi. Rooms are large and comfortabe. All rooms overlook the park. Domestic animals are permitted. The restaurant offers a warm and cosy atmosphere with its old beams and the open fireplace. The chef prepares regional specialties like foie gras, Chalosse beef and fresh seafood. The surrounding area of Chalosse offers many sightseeing acitivities and long walks. The public swimming pool is just 2 km away. Friendly staff at Domaine De Testelin speak French, English, German, Spanish and Dutch.